Mount. 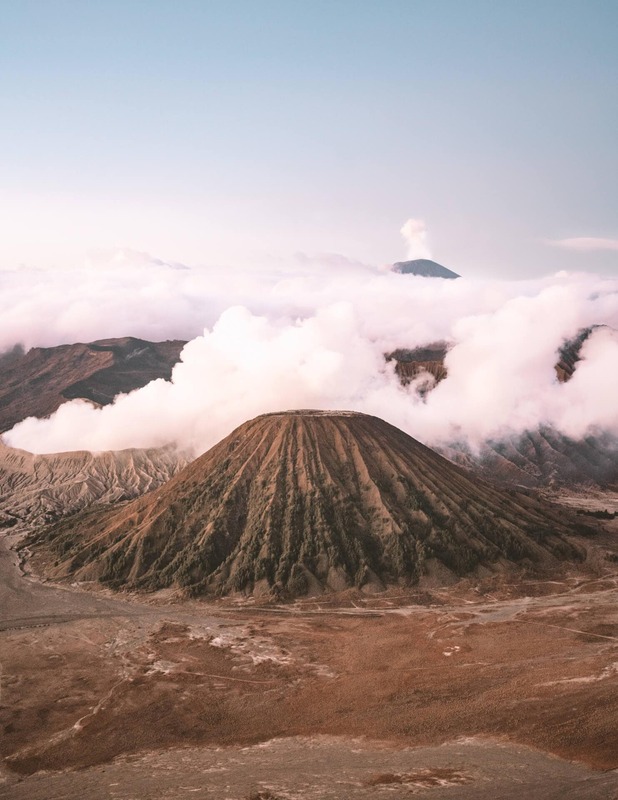 Bromo, a 2300-meter high volcano in Java, Indonesia. 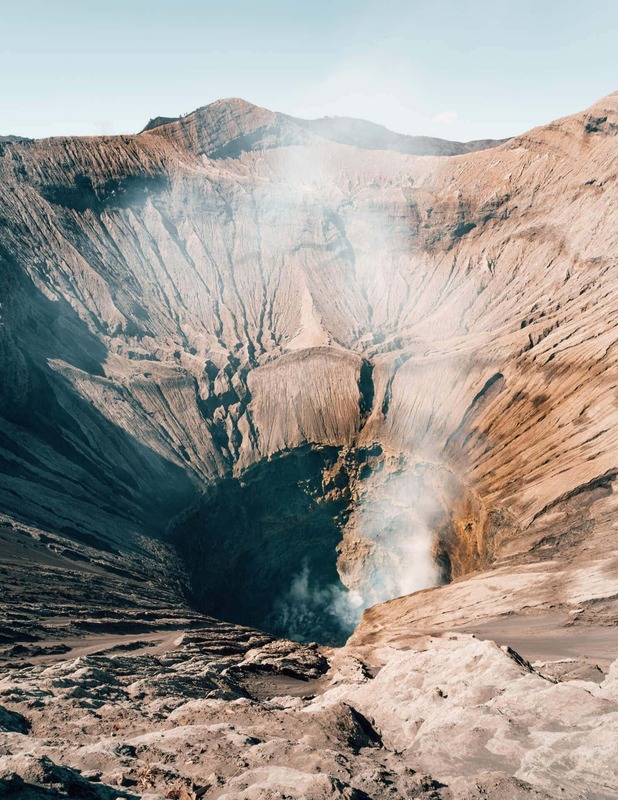 The Bromo tour for sunrise at this active volcano is the highlight when visiting Java. It is surrounded by a wide-stretched sea of sand where most visitors drive around with a 4×4 jeep. The volcano is active every 5 years and the lava always stayed inside. Bromo can be visited in many ways and the visit can be done by young and old. 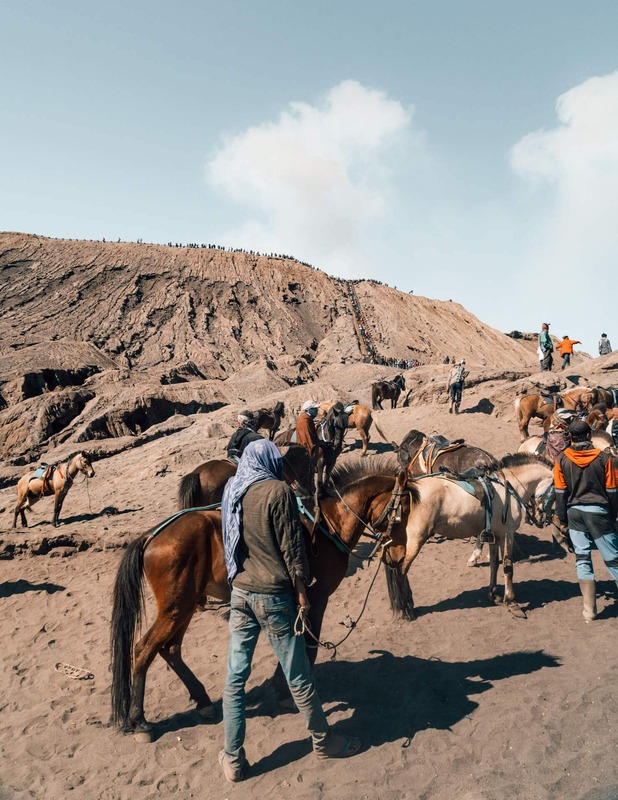 This is everything you need to know about a Bromo tour. 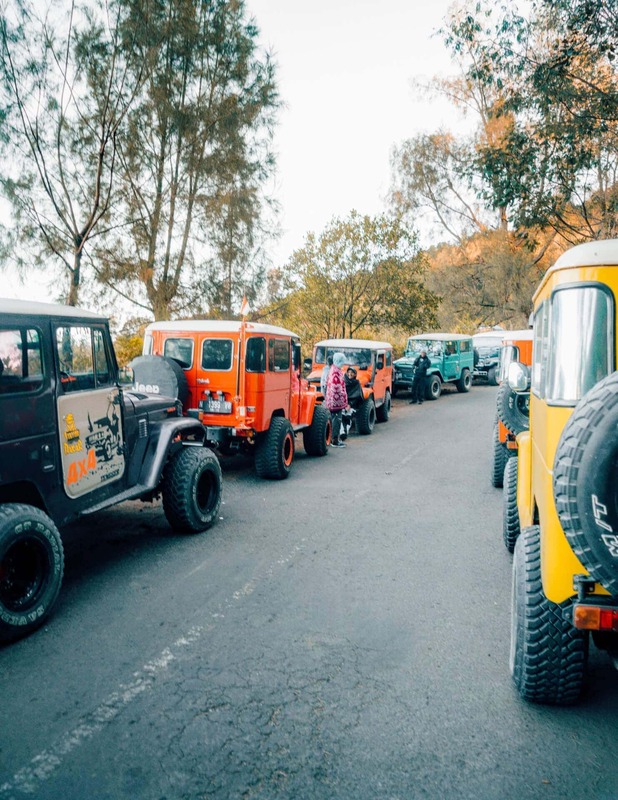 In the middle of the night, hundreds of jeeps drive up towards King Kong Hill where you have the best sunrise view on Mount Bromo. The drive up starts at 3 AM and takes 1 hour. Another option, instead of a jeep is to jump on the back of a motorbike. 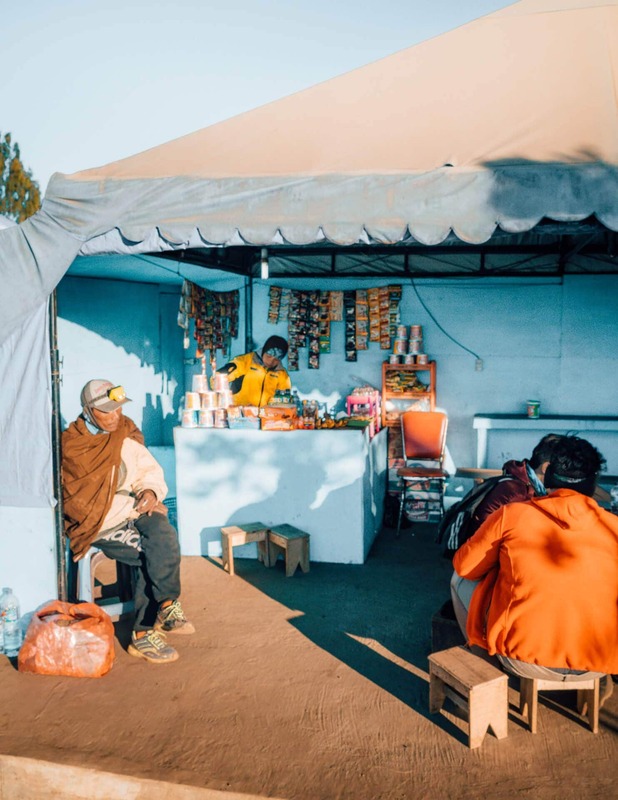 At the drop-off at King Kong Hill, you will have to walk about 5 minutes to reach the small stalls with coffee, tea, fried banana, and a cozy fire. It is freezing cold in the morning at Bromo. The temperature will be between 0-10 degrees with a cold strong wind. The small fires at the food stalls are therefore super comfortable. What to wear during a Bromo tour? Be prepared to wear long trousers, socks, closed shoes, a shirt, and a jacket or multiple sweaters. A good thing is that you can rent a jacket at your hotel or at the top of King Kong Hill for ~ 30000 IDR. The best viewpoints are on Gunung Penanjakan. The two popular viewpoints on the mountain are called King Kong Hill and Seruni. From both viewpoints, it will be busy but you will always have a higher and less crowded point. 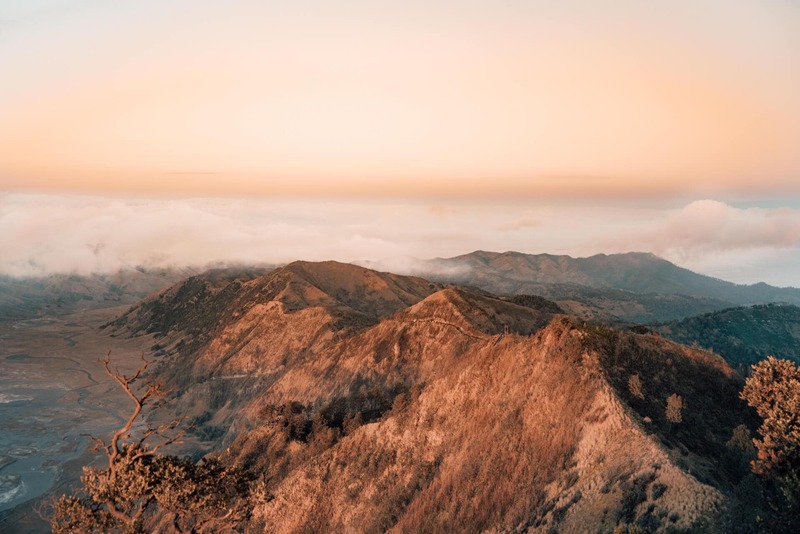 Walk to one of the viewpoints and experience a magical sunrise over Bromo, Mount Batok, and Mount Semeru. It will rise around 5:30 AM. Right after the sunrise, you can get rid of the jacket or sweater since the temperature is rising quick. Good to know: There are toilets at both the bottom and top. 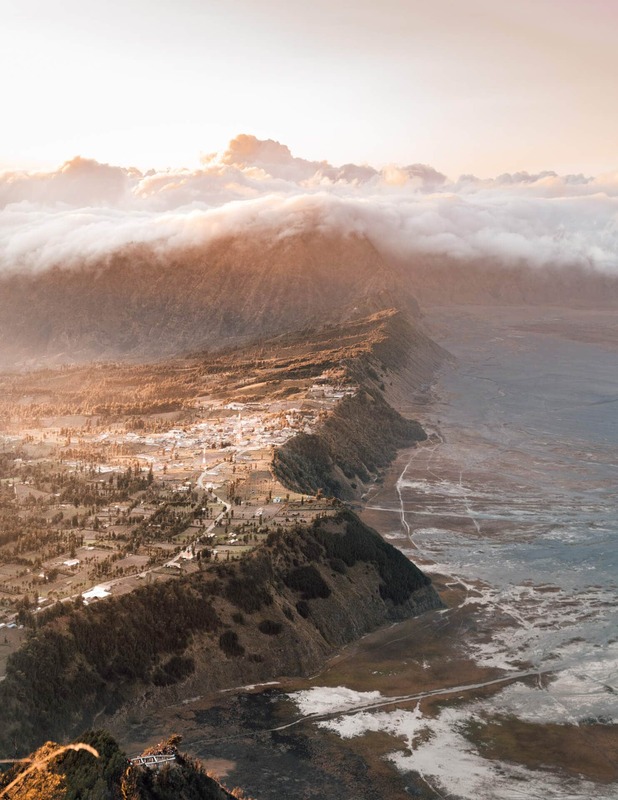 When you are spending the night at Cemoro Lawang, try to visit this location and see the sun disappear behind Bromo. 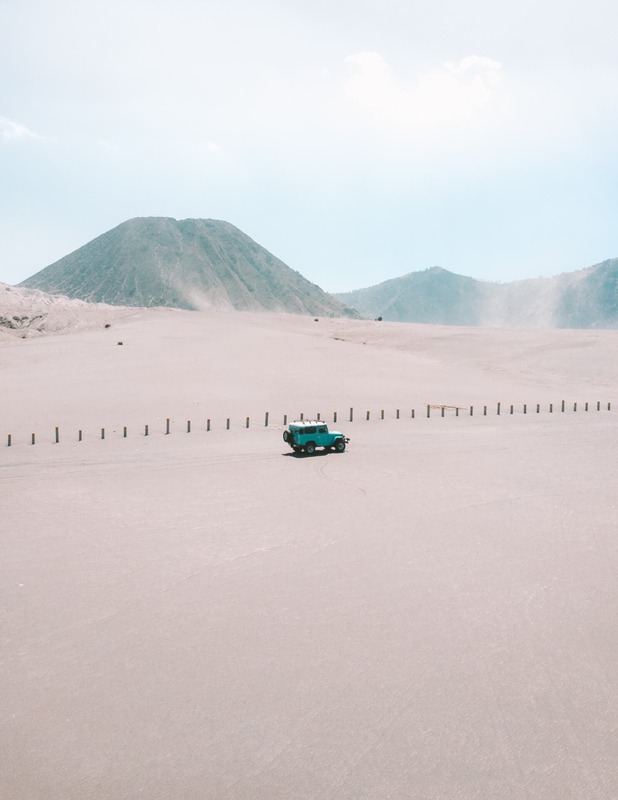 Head back to your jeep and get prepared for the drive down towards the Bromo crater. Due to the many jeeps, traffic jams are unfortunately very common so the drive down can take a little longer. Leave the sunrise point as early as possible if you want to skip this traffic jam. 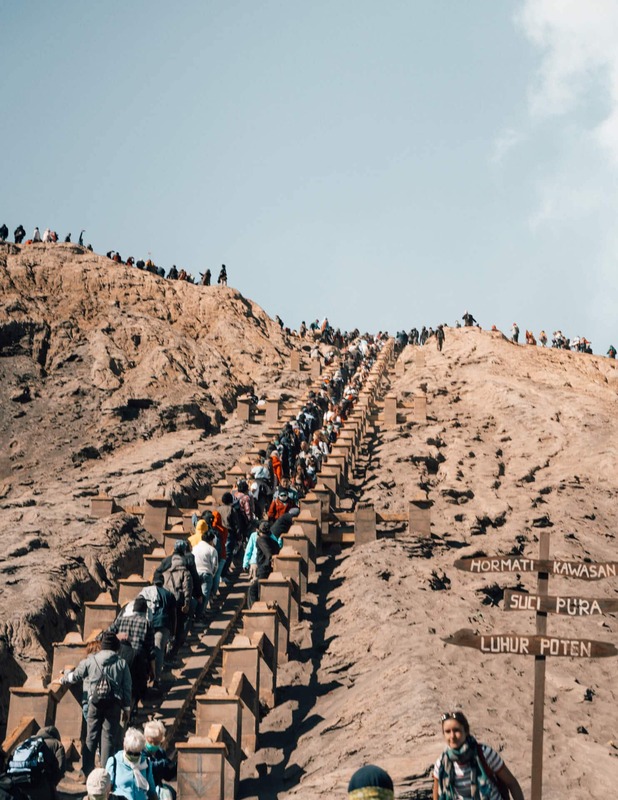 The jeep drives you to the Luhur Poten Hindu Temple at the foot of Mount Bromo. From here, you have to walk about 10 minutes on a dusty road to reach the stairs. Please don’t take a horse for this small walk. These animals are not treated well. Tip: Take a scarf or dust mask for all the dust. You really need this! Another 10-minute walk up the stairs and you are on top where you can admire the crater. Every few minutes white smoke spewes out from the volcanic crater. Walk along the edge of the crater, to a little more quite point. There is a concrete barrier to hold on to, don’t worry! Plan to spend one day at Bromo. The entrance fee is 215.000 IDR during the weekday and 315.000 IDR in the weekend. 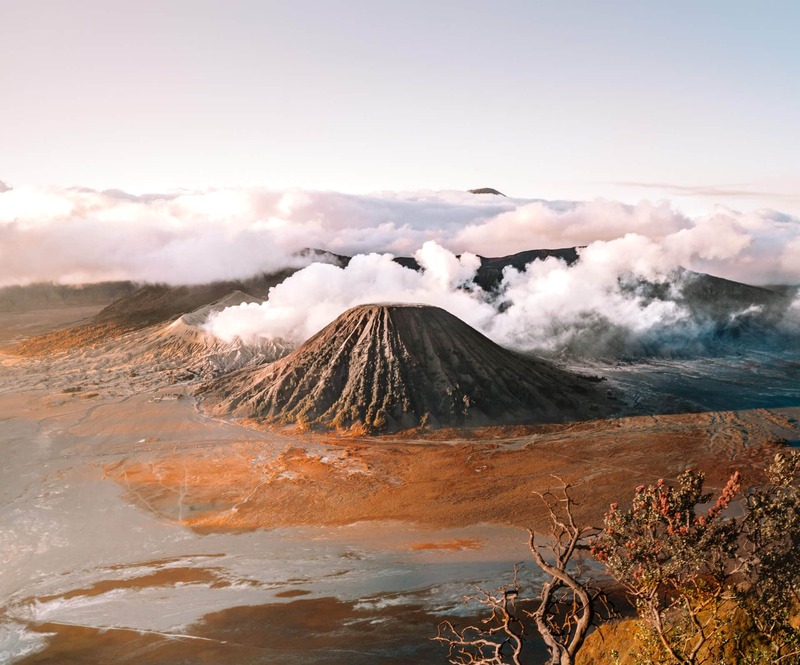 It is useful to figure out at which of the three towns you prefer to stay near Bromo and what your destination will be afterward. If you are planning to visit the Ijen Crater than stay at Probolingo or Cemoro Lawang is the best option. 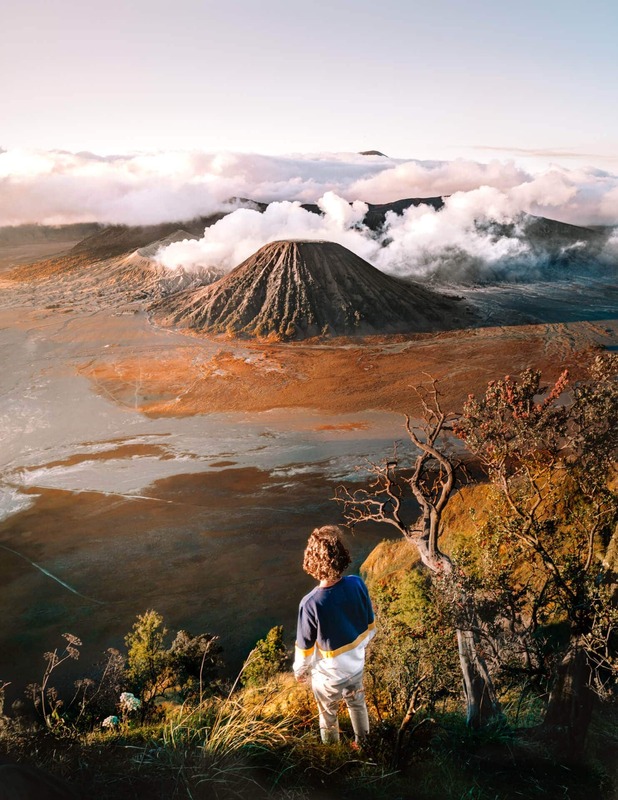 The last thing to decide is whether you are going on a tour to Bromo or not. 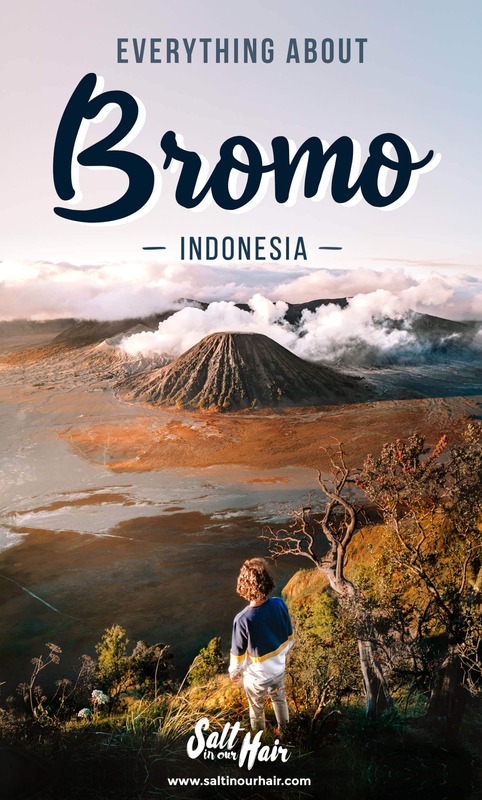 The easiest and probably best way to visit Bromo is via a tour. 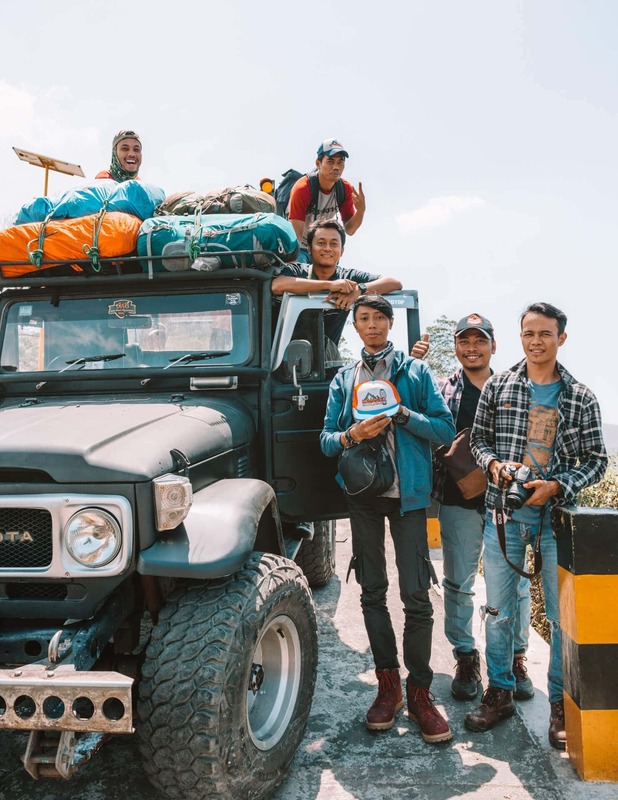 A tour with a 4×4 jeep from Malang to Bromo and Ijen Crater is the popular way to go. 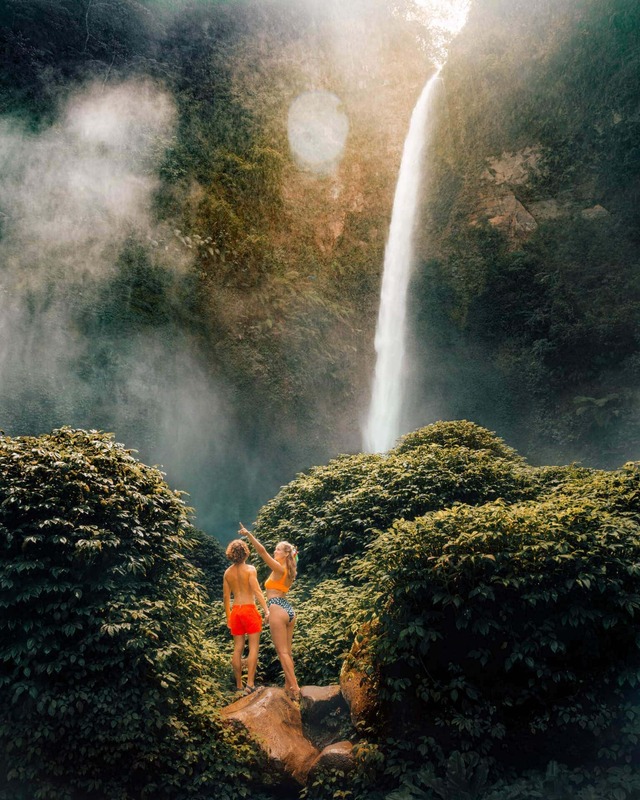 On your way towards Bromo, visit the Coban Pelangi waterfall, drive through the vegetable mountain range (Ngadas Village). 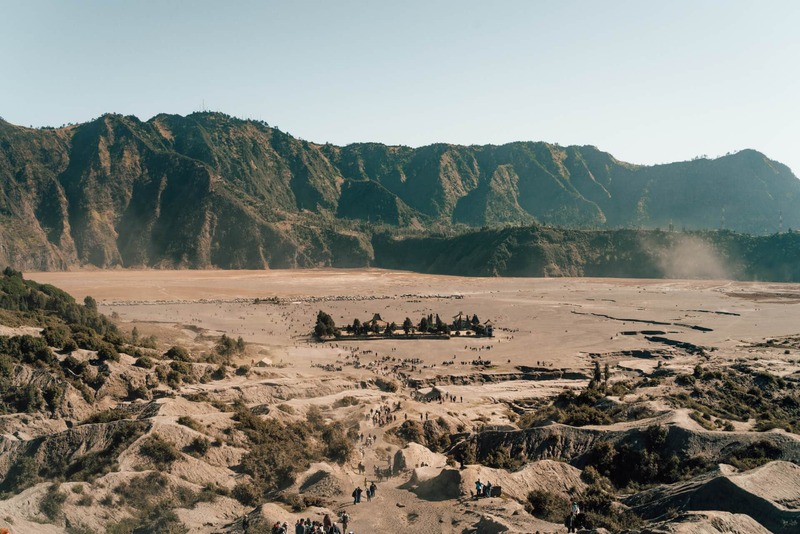 Follow your way through the Savannah and Sea of Sand until you reach Cemoro Lawang, the village at Bromo. Don’t forget to shoot some cool photos with your jeep! The next morning you will follow the sunrise Bromo tour as described before. Note: You can do this trip from Probolingo too but without Savannah, Ngadas and Pelangi. 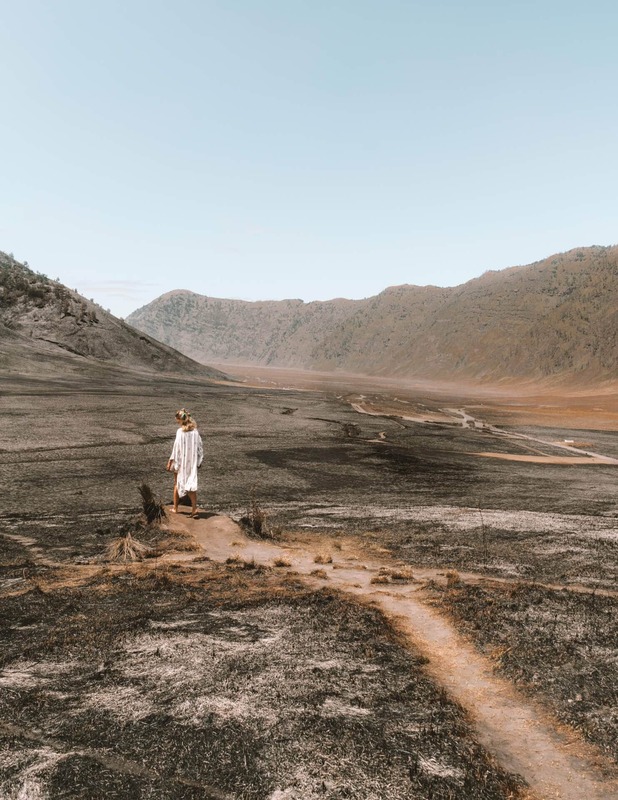 We had a 2-day Bromo and Ijen Crater tour ourselves and was a 1000% worth the money. 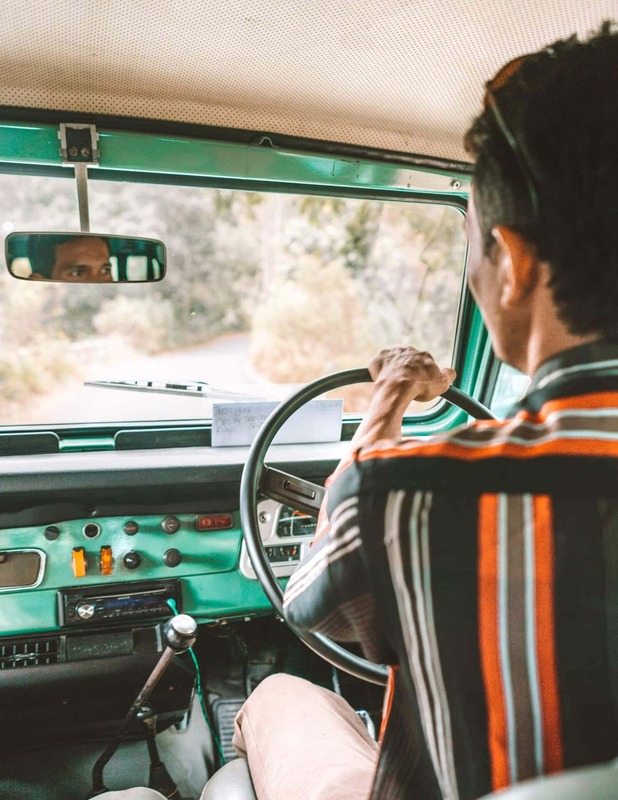 Traveling on a tight budget? 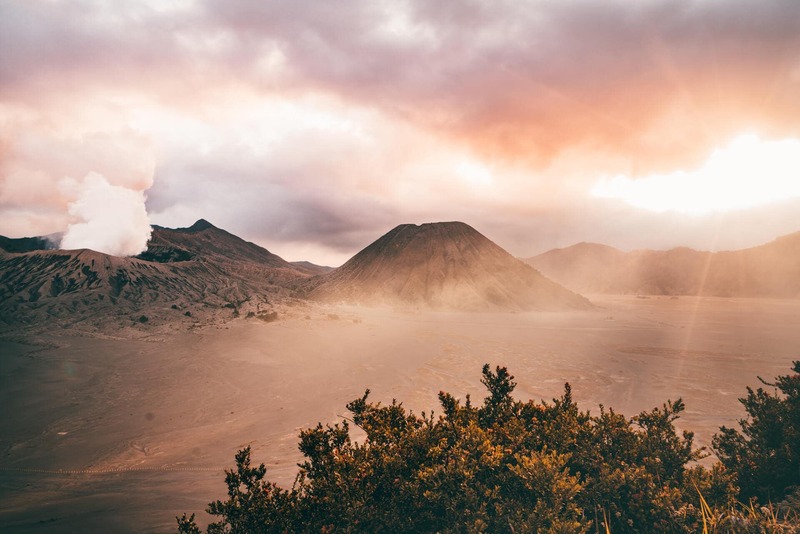 The Bromo National Park can be visited without an organized or private tour. 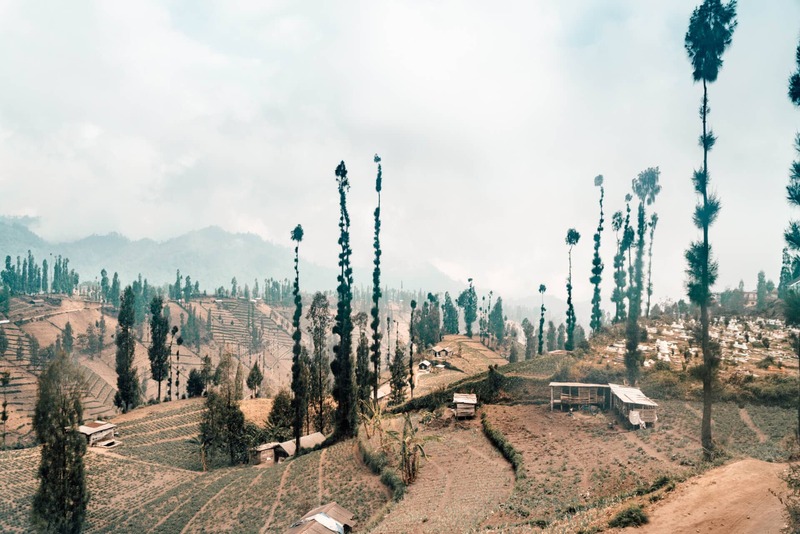 Your best option is to take a local bus from Probolingo to Cemoro Lawang which takes around 90 minutes. Keep in mind that there is another 10.000 IDR entrance fee at Cemoro Lawang. Plan to spend the night at a guesthouse or hotel. The village is entirely focused on accommodating visitors so you always should be able to find a place. Just don’t expect to have hot water at a homestay. In the morning, jump on the back of a motorbike that takes you up to the viewpoint.